August | 2011 | Go Chapel Hill! 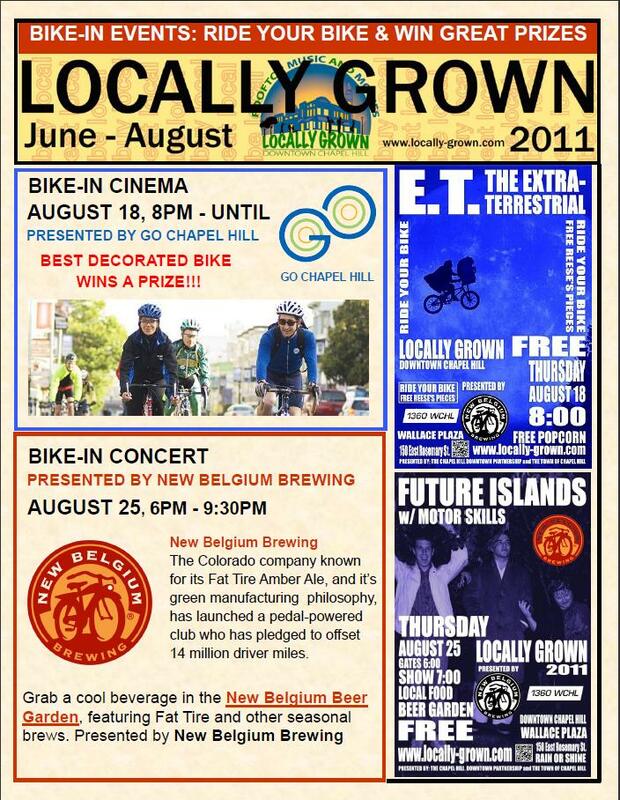 Make sure to mark your calendars to bike to the free screening of ET: The Extraterrestrial this Thursday evening. Valet parking is available with a “Best Decorated Bike” contest prize! See you on Wallace Deck at 8 pm! To improve the financial sustainability of the transit system, Chapel Hill Transit (CHT) will be implementing schedule changes on Monday, Aug. 15. CHT makes changes to its schedules two times a year in response to ridership trends, changing traffic patterns, popular destinations and growth in the area. These changes are made in January and August. For more information, please see www.townofchapelhill.org/Modules/ShowDocument.aspx?documentid=10437 or visit www.chtransit.org. For additional information, please contact: Brian M Litchfield, Assistant Director – Chapel Hill Transit, at 919-969-4908 or blitchfield@townofchapelhill.org. Lose the keys and bike-in! Coming soon to Chapel Hill.. a new twist on a classic summertime tradition! Why: What could be better than a free night out on the town?! In the summer of 1982, Stephen Spielberg’s E.T. : The Extra-Terrestrial first dazzled viewers on the big screen. 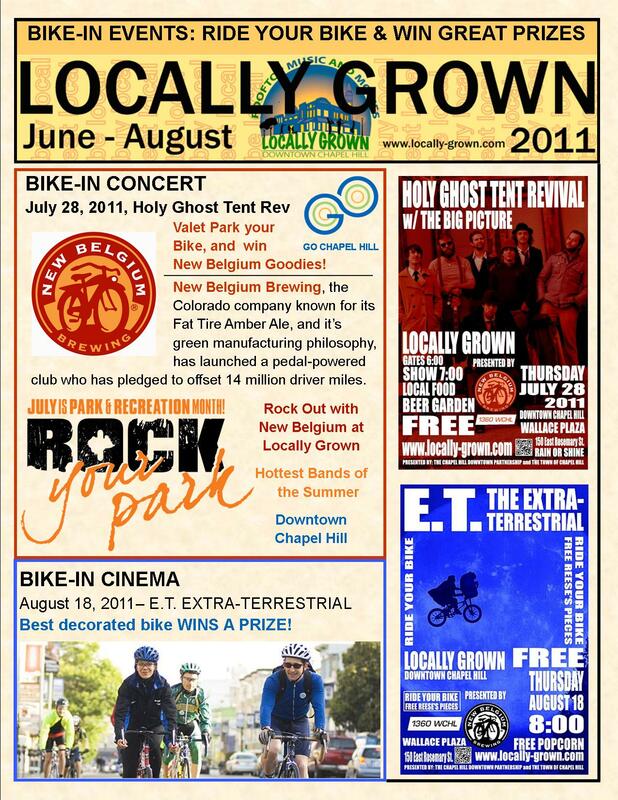 While many may have seen this timeless classic at their local drive-in, you are invited to see a free screening of E.T. at the Wallace Plaza bike-in. In addition to saving money on gas, getting your daily exercise, and helping to clean the air, there will be free and secure valet service for bicyclists. Additionally, everyone who rides their bike to the bike-in will receive free Reese’s Pieces and free popcorn. Leave your wallet and your car keys at home, bring your friends, and have a night of free fun on the town!